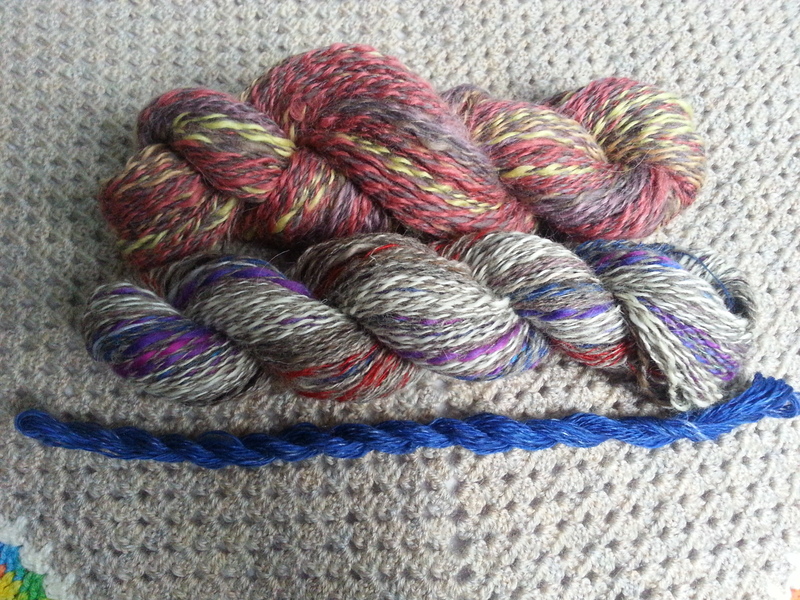 Let me tell you a little bit about Story Skeins. Story Skeins was born from my love of all things ‘yarn’ combined with a decision to take a more mindful and creative approach to living. I have long enjoyed knitting, having been taught as a tot by my mother. Over the years I have added other pursuits: crochet, spinning, cord-making, tablet weaving. In the future I hope to add more: dyeing, loom weaving and who-knows-what else. I realised over time that each and every piece I create is imbued with stories, with my memories and with my family’s history. My daughter’s gloves – the first thing I knitted from yarn I’d made myself. My patchwork blanket where I taught myself to crochet one square at a time. The square I made at my first Alexander Technique workshop, full of mistakes where I lost concentration on the pattern because I had to think about all the new things I was learning! (I left all of the mistakes in, because they’re part of the story). The big projects I’ve used to stitch myself back together when life’s been tough. And the socks I made from my first successful drop-spinning & plying experiment. The stories make life richer, somehow. I love how the memories are almost literally woven through the fabric. When spinning I take care to stay in the moment. I look at the fibre before it’s spun. I notice the textures, the feel of the fibres, the colours and the patterns made by those colours as the fibres swirl together. As I spin I notice how the yarns feel as they slip through my fingers. I see the typical ‘barber’s pole’ patterns emerge when different colours twist together. As handspun yarn, each skein is individual, and no skein will be mechanically flawless. The fibre has a character. Some blends seem to work with me, some are more cantankerous! Please consider these features as part of the story. My aim is not perfection and I relish the idea that there is always more to learn. Through all of these experiences an image emerges. Sometimes clear, sometimes more nebulous. This is the image I try to capture; this is the story of each unique skein. But really, of course, the story of the skein is much bigger than that. These skeins of beautiful yarn, handmade especially for you, are for you to create your own stories: to weave the memories of your life into being. I hope you enjoy them as much as I do.